Thank you to Alicia for nominating me for The Sunshine Bloggers Award. I like to spread a little sunshine so this award seems a particularly lovely one for me to receive. So let’s bask in the last rays of an Indian Summer, and enjoy…. Oh, and don’t lie back on your sun lounger Marje, at least not yet, as there are some questions too! What is your favorite era for a story to be set in? If it was a historical novel it would probably be during the Tudor period, I love Henry the Eighth! He was such a devil, can’t beat Henry for doing dreadful things can you? Or WW2 that’s pretty interesting too. Favorite genre and why? Favourite genre has to be Fantasy, as I live in a bit of a fantasy world myself I suppose, and of course I write fantasy too, so yes Fantasy has to be my number one choice. But I love most genres, there are very few exceptions. What is your favorite season and why? Easy, summer without a shadow of a doubt, love the sea, sand and the beach, so summer wins hands down. I can’t stand the winter as I suffer dreadfully in the cold, hate the dark nights and lack of sunlight. I’m sure that I am a bit prone to SAD, Seasonal Affective Disorder. Yes, I turn into a sad, dreary, energy devoid lump in the winter. I definitely hibernate. How many countries have you been to in your lifetime? Ah this is difficult as there are quite a few: Malaysia, Papua new Guinea, the Caribbean, Fiji, Singapore, Hong Kong, Australia, Austria, Switzerland, France, Germany, Spain, Belgium, Portugal, Italy, Scotland, England. If you could learn one skill with the snap of your fingers, what would it be? To play the piano to the highest standard, I play average piano I’d love to be able to play like a concert pianist. The piano is my favourite instrument, I just love the sound of piano music so much. What book do you recommend people NOT read? I very rarely read books that I don’t like as I read book reviews, and follow lots of book bloggers so I tend to know what sounds good. Normally I don’t like a book when someone else has bought it for me! A case in point is: E L James. Fifty Shades of Grey, thought it was rubbish. Not that I’m a prude, far from it, I just didn’t rate it at all. Where would you like to see yourself 5 years from now? Successfully published, and writing some more, oh and growing this blog too, or at least updating it from time to time! You have to change your hair color for 3 months, and it can’t be the color it is now, what color would it be? I fancy myself as a blonde but I am way too dark for that! So I normally settle for red and blonde streaks to highlight my hair. If you could spend a year living anywhere in the world, where would it be? I would probably opt for Portugal, love it there. Or Singapore, the city of my birth. I love Asian food so I’d eat several years worth of spicy food in one year, and then come reluctantly come home! What is a good piece of advice you learned in your first few months of blogging? Discover who you are through your blogging. This sounds a bit hoity-toity, but believe me it is true. I found out all sorts of things about myself through blogging. Ok, I’m not saying I found a long lost sister, or that I was adopted or anything like that. I would recommend that you focus on what you really enjoy doing and write about it on your blog. That way people reading your blog will feel your boundless enthusiasm rocking its way over the internet to them! But if its golf that you love don’t write a blow by blow account of every single hole played, just highlight the highlights! Write about the humorous aspects, or things that you feel passionate about. Don’t worry about the numbers, who is and isn’t following you, just have fun. Make friends, yes that one is extremely important, find some blogging friends. As far as the practicalities go its a good idea to get a good book out of the library, or buy one to help you set up your blog, this one has been recommended to me: WordPress in Easy Steps, by Darryl Bartlett. Right now it’s time to nominate some blogs for this award, I hope these bloggers accept awards, not all do, but if you don’t that’s okay just sip a little rum punch and chill instead. I won’t be offended. Have you ever had Christmas in Australia? Or if you haven’t, do you think you would like your Turkey on the beach? Do you like comic books? Did you have a favourite as a child? Are there any unusual customs or idiosyncrasies in your family? Do you ever read in the bath? Or in any other strange places? If you could have an unusual pet what would it be and why? Have you ever been snorkelling? Deep sea fishing? Scuba Diving? Sailing? In a Beach volleyball team? Shell collecting? Fishing?…. etc…. Do you have a favourite season or time of the year? Are you good at keeping secrets? Or are you a bit of a gossip? What is your favourite book? Genre? Do you like to collect anything? Or have you done so in the past? Bye for now. Time to Chill…. Oh, where has the sun gone? 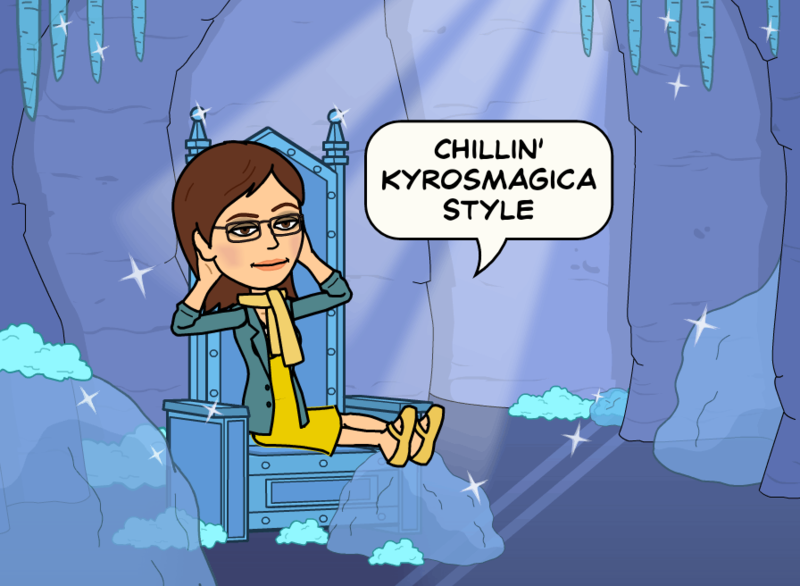 That’s okay I’m chillin’ in my Crystal hangout. This entry was posted in Awards - Blogging and tagged Award, The Sunshine Bloggers Award. Bookmark the permalink. Your blog is definitely a ray of sunshine Rita, so very much deserved. 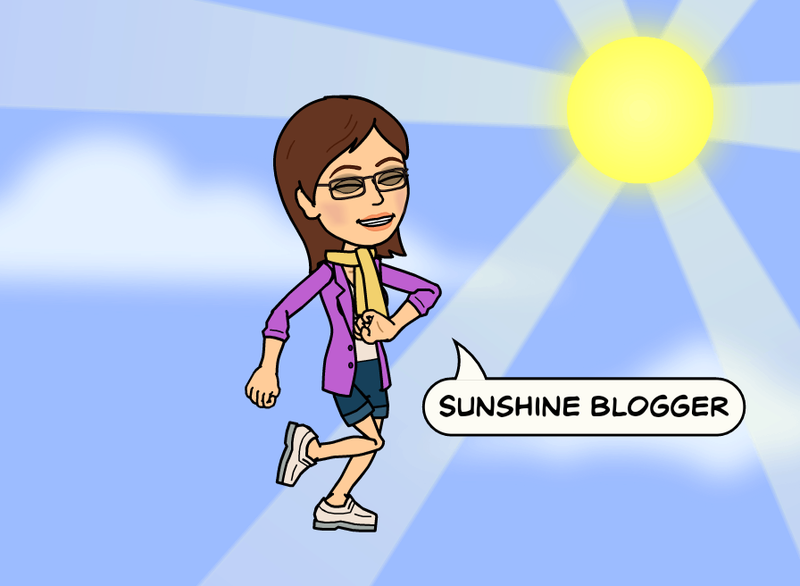 See, here we go again… The lovelynMarge@Kyrosmahica has nominated me for The Sunshine Blogger award! Thank you for your kind words. These awards are a lovely way to connect with other bloggers and share a little about ourselves. So glad you found it illuminating, looking forward to reading your answers too.